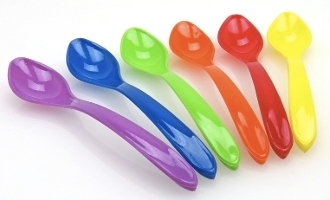 Solid Colored Curve Yogurt Spoons are perfect for frozen yogurt, ice cream, and gelato. The solid vibrant colors and curved handle makes this spoon more unique than traditional yogurt spoons. These curve yogurt spoons are available in pink, green, red, orange, yellow, blue, and purple.